So many of us choose weaves and straight hair for various reasons (including myself). But, I believe if we as a “Society” were able to accept one another for who we truly are (race, nationality, etc.) and the BEAUTY of who and what we represent, so many things and beliefs in our lives would be so very different! 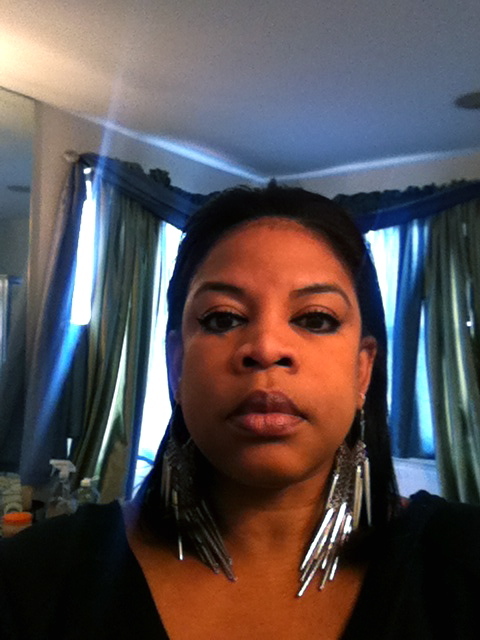 Well, in September of 2011, I decided to become all natural!! I was definitely apprehensive of my choice, but I did it! OMG, it felt so good! What I mean is, I could actually feel my scalp! My own hair was blowing in the wind as I sailed down the street with my sunroof open! PRICELESS!!! 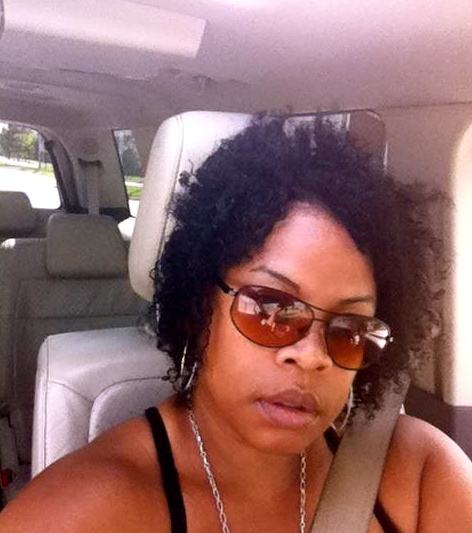 It just felt good to me and I liked the way I looked with my own curls blowing in the wind! But others didn’t. My husband was okay with it. I’m a math teacher and my kids didn’t mind. I teach middle school and they are a tough crowd! But my mother? EVERY TIME she would see me would say, “Why don’t you straighten it out? !” Or, “I like your hair the other way (meaning straighten it out)” or would literally pull my hair!! My brother, with whom I am very close, made a comment to my mom and sister that I looked thinner with my hair the other way (I am a size 16). My family, we are a very close bunch. There are a lot of us and we get together almost every weekend. We refer to ourselves as the 40 thieves, because there are so many of us. It’s cool! 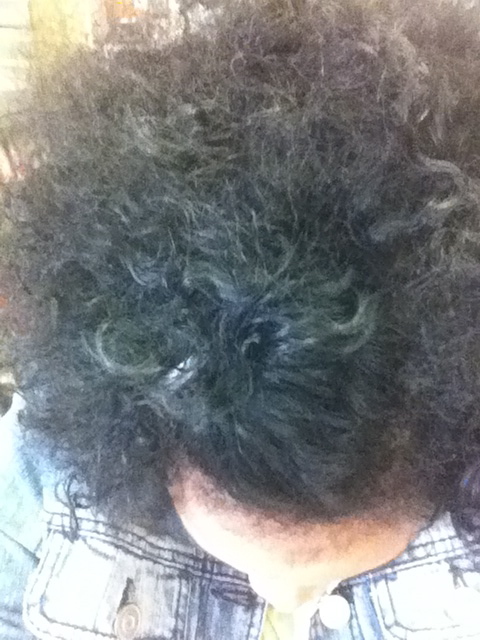 But, I began to notice every now and again people were making cracks about my hair. I let it go … but some days … it’s difficult. However, I do plan to remain strong and steady. I became very self conscious of my appearance, I no longer wanted to run into people I knew or go out, for that matter. I viewed myself as fat with a nappy head! But I still loved my hair! There were so many things I was learning about my hair! 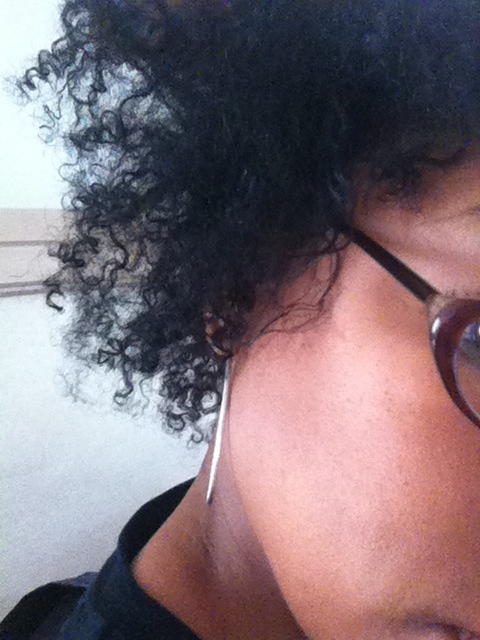 I had no idea my hair even had a curl pattern! I was both shocked and excited that my hair could do the things I was experiencing! I began to follow naturals on YouTube. I learned so much! My husband said I was obsessed and I was! I also became a PJ (Product Junkie). I even purchased a hairs steamer (I love, love that thing). 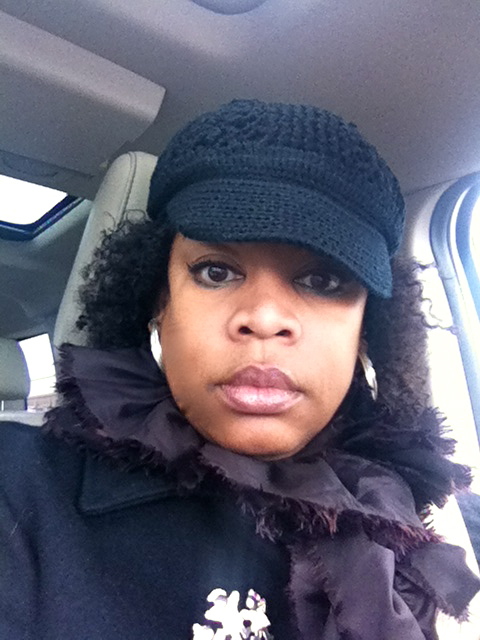 When I spoke to people about my natural hair journey, I became excited! I love doing my own hair.I even ordered two books from the internet: Chicoro’s “Grow It” and “The Science of Black Hair.” I now had a natural hair goal. Goals: Two of my goals I have actually conquered. One was to stop smoking (which I did), two to transition to au natural and three to lose weight. OMG! Who would have thought it was easier to stop smoking than to lose weight! I missed the first GOC, but I followed along religiously. I picked up so many great tips along the way that I couldn’t wait to try! I want to achieve BSL or, my ultimate goal, to achieve WL hair. I want to find and use protective styles (I haven’t found any yet that work for me). I want to lose 50 lbs. 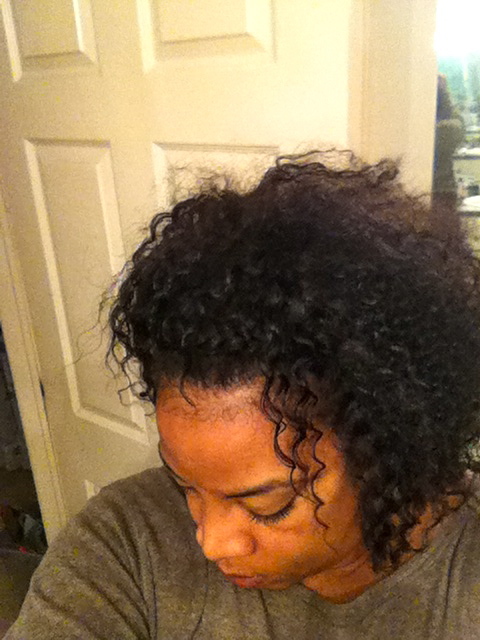 Deep Condition with DevaCurl Heaven in Hair with my Huetiful Hair Steamer for an hour. Leave-in: Kimmaytube modified leave-in conditioner. Seal: Shea butter with jojoba oil and almond oil. 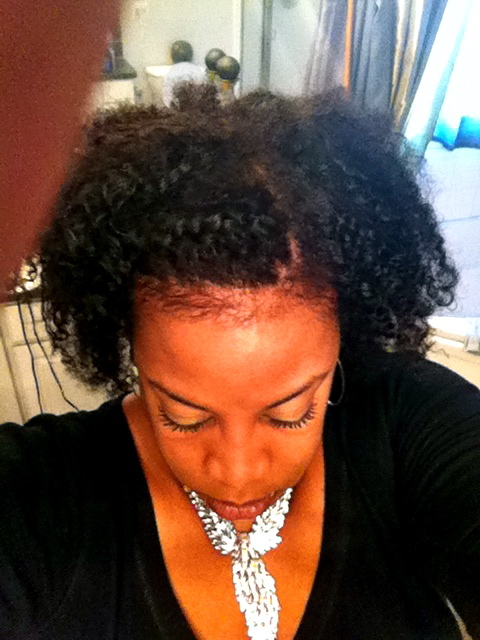 Styler: Braid out with Eco Styler Gel with Argan oil. Spritz: Aloe vera juice, almond oil and glycerin. Moisturize ends with Vatika oil and shea butter/jojoba oil or EVOO & Moringa every night. Daily Supplements: Biotin 5000 mg and a daily multi-vitamin. *I would like to try Terressential Mud Wash.
Work out at least 3 times a week for at least 30 minutes or better. Eat more fiber and eat healthier. Reward: A great vacation with warm and sunny beaches! And last but not least … I am truly excited to participate in the GOC! I hope I can keep up! Thanks Shelli for coming up with such a GREAT site where people who have something in common can come together as one. It just feels … RIGHT! Congrats on quitting smoking. I actually prefer the curly look on you better. The straight look can look very flat and lacks vavavoom. Lol. It’s nice to be able to change it up a bit, every now and again. Good luck on your challenges. Thanks you guys! I really appreciate your comments, it keeps me motivated! Congrats on quitting smoking Angie. I think your hair looks absolutely great. Good luck on GOC I’ll be checking in the hear from you.